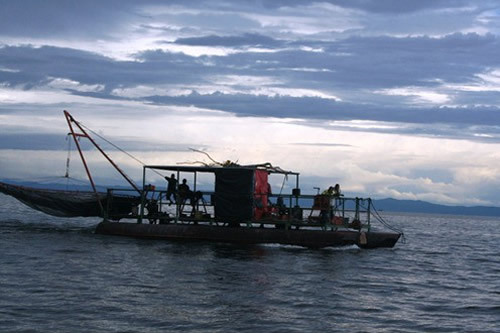 A South African national from Zambia Institute of Chartered Accountancy (ZICA) has drowned in Lake Kariba in Siavonga district in Southern Province. Siavonga District Commissioner, Lovemore Kanyama, confirmed the development to ZANIS that the student, identified as Aaron MacDonald, was swept away on Lake Kariba at Sand beach area while he was swimming with friends. Mr MacDonald drowned around 10:00 hours and his body was retrieved in the afternoon. The deceased was in the company of students from National Institute of Public Administration (NIPA) who had come for a week-end in Siavonga district. Police in Siavonga who rushed to the scene picked up the body of the deceased at 14:30 and it is laying in Siavonga Hospital Mortuary. Sad. Condolences to the family. BUT DO WE HAVE COAST GUARDS MANNING ZAMBIA’S BEACHES AND THE LAKES AND RIVERS IN SOME CASES. IN ZAMBIA IT WOULDN’T BE SURPRISING IF NO COAST GUARDS HAVE BEEN EMPLOYED TO PATROL THE LAKES AND RIVERS. MY CONDOLENCES GO TO FAMILY AND FRIENDS OF THE TRAGIC STUDENT. You must be in the diaspora. There are no coast guards in Zambia because there’s no coast. @Hamubiki Hamba, for all intents and purpose any large water body must have some sort of overseers who will help keep water farers safe or assisted. This is why we lack progress because we think only the oceans need to be considered in the light of a coast guard facility. It is small wonder that lakes bordering other nations are predominantly used for smuggling activities. I agree with #Peter and #Kalok. If sand beach has no coast guards or life savers, it should not be open to people to swim. Condolences with the family but the owners of sand beach should be held responsible for the death of the McDonald. Is it ZICA or ZCAS that the foreign student is from? Some students from Europe have been studying physiotherapy in Zambia. Some think it is cheaper and the standard of education is good enough. The police did not rushed, he was drowned at 10:00 police arrived at 14:30. Is this what you can call RUSH? What did the guy try to prove, that there was water in lake Kariba? He should have consulted the locals first before plunging in the lake. His death was really a shock.. Macdonald was a good friend and those that did knew him like me can testify.. Death occurs and no one knows it’s coming.. It was his time on earth.. Let’s blame no one on this one.. LOVE ZONE UNITED FOREVER!! RIP my brother..